Be sure to subscribe to our eSAX YouTube channel for more great entrepreneur networking tips, tricks and best practices. http://esax.ca/wp-content/uploads/2017/01/eSAXLogo-High-Rez.jpg 850 850 eSAXnetworking http://esax.ca/wp-content/uploads/2016/11/eSAX-2016-logo-200.png eSAXnetworking2018-04-09 13:27:112018-10-30 12:37:28What is the eSAX Pitchfest? “It’s how your customers feel about you that has them coming back!” Jarrod Goldsmith (Founder, eSAX – http://JarrodGoldsmith.ca). 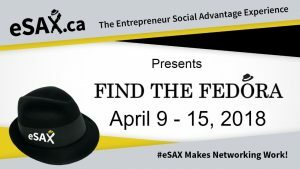 Be sure to subscribe to our eSAX YouTube channel for more great entrepreneur networking tips, tricks and best practices (http://bit.ly/eSAXYouTube). 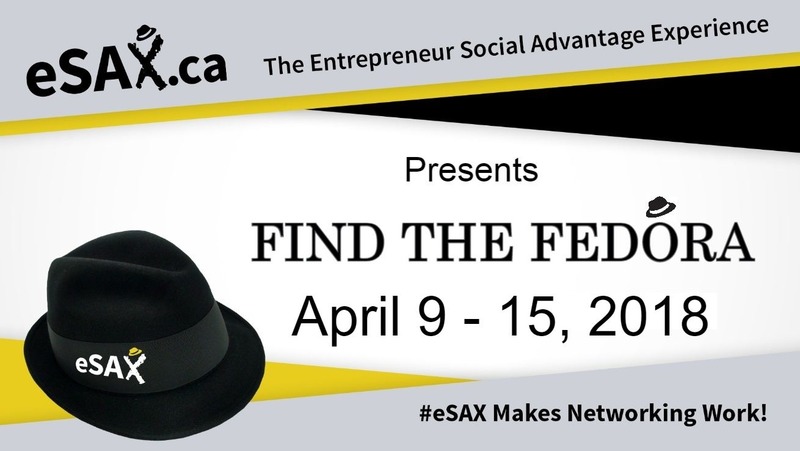 #eSAX (The Entrepreneur Social Advantage Experience – http://esax.ca) is an entrepreneur networking community and tradeshow for small business to create connections, gain knowledge from featured speakers and promote regional economic collaboration among Chambers of Commerce and community/business leaders. #eSAX Makes Networking Work !